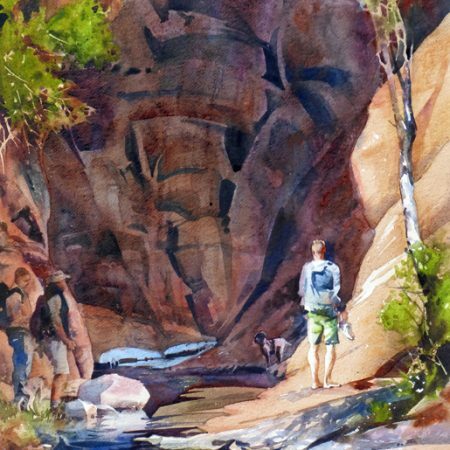 Kristi has always identified as an artist and received her BFA from the University of Utah with an emphasis in drawing and painting (especially the figure). 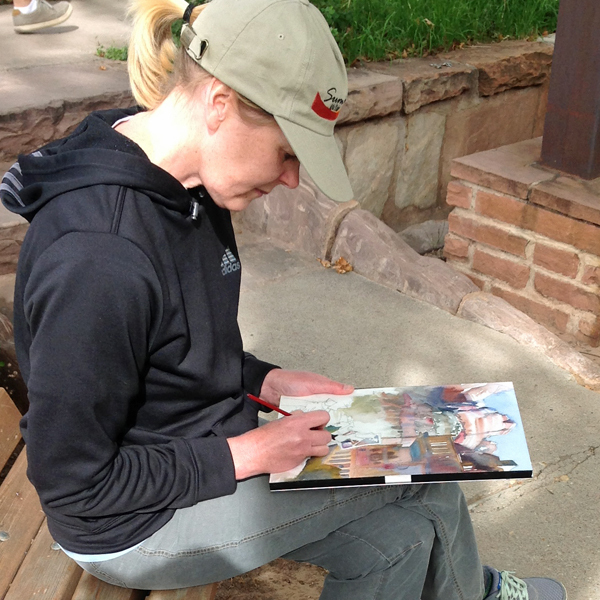 Kristi was encouraged by her parents and taught by her mother who studied art and art education. 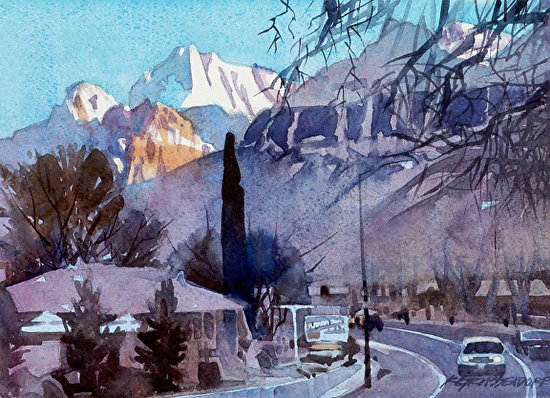 Before moving to Cache Valley, she was employed by Waterford School in Sandy, UT as a lower school art specialist and currently is on the Utah Division of Arts and Museums teaching roster where she can share what she has learned with other art teachers and continue to create with children for special projects. 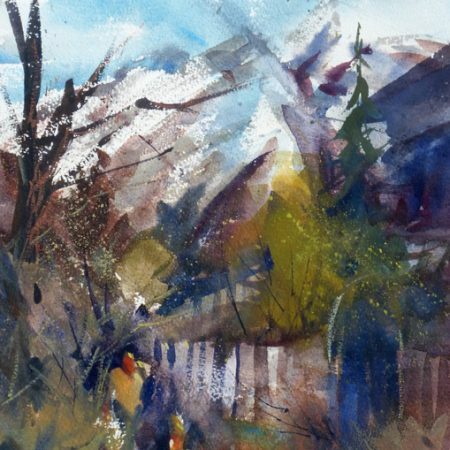 She also teaches adults at the Cache Valley Center For the Arts and tries to honor requests from art groups for watercolor workshops or painting demonstrations. 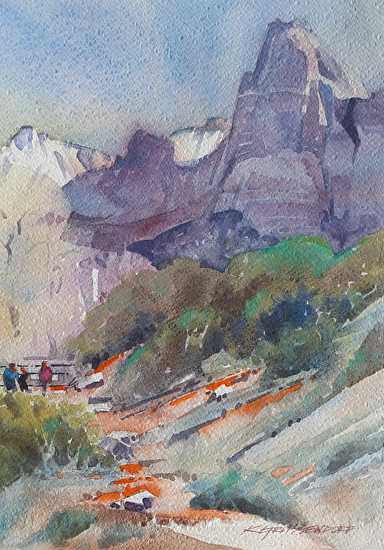 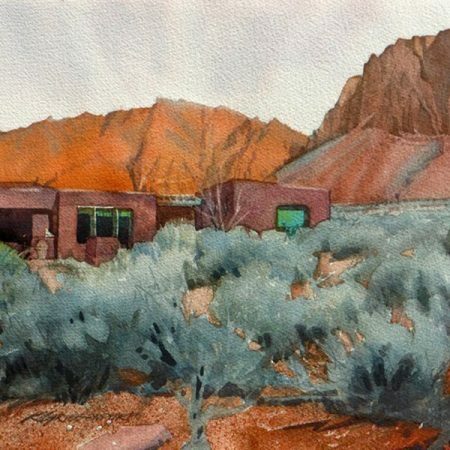 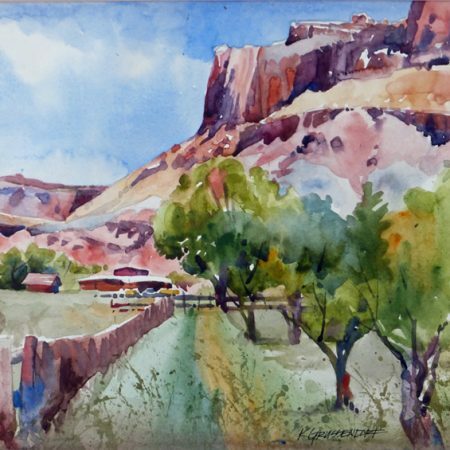 Kristi is a signature member of the Wyoming Watercolor Society, the Western Federation of Watercolor Societies, the National Watercolor Society and the Utah Watercolor Society where she just finished her term as president and moves into the delegate position for the Western Federation of Watercolor Societies. 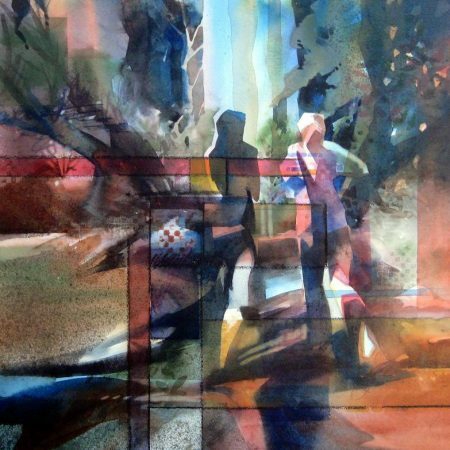 She has won numerous state and national awards, most recently the Director’s Award from the 2014 Transparent Watercolor Society of America and has had the honor of being featured in Watercolor Artist magazine. 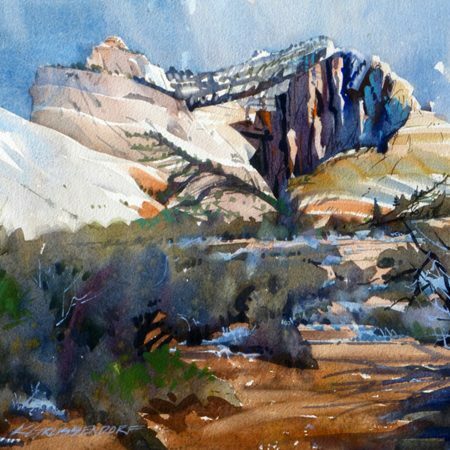 Kristi continues to take workshops from the masters in her field, believes in lifelong learning and strives for artistic excellence & growth.